The healthcare landscape now has an intense focus on both quality and cost driving dramatic changes in the healthcare model in the U.S. Collectively, these quality and cost drivers are known as “pay-for-performance” models of care that are now being embraced in post-hospital healthcare. 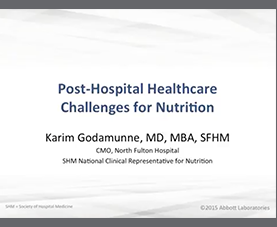 Currently, malnutrition and nutrition, in general, are barely represented as quality incentives in pay performance models, especially in the immediate post-hospital setting. 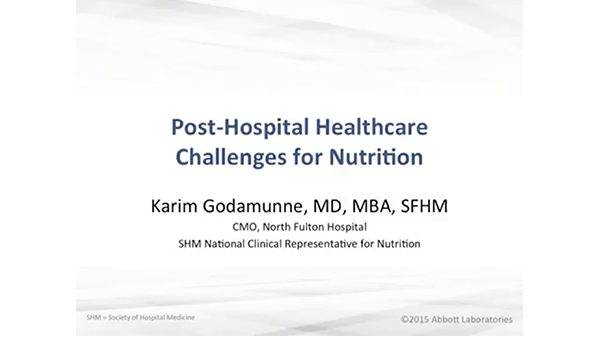 Quality goals need to be developed that include the identification and early treatment of malnutrition in the post-hospital healthcare landscape as incentives to improve outcomes and costs.